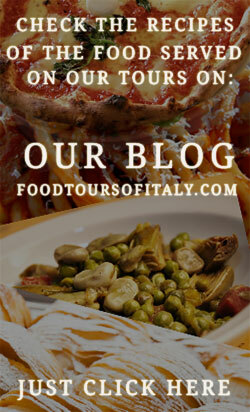 Did you dream about walking though the charming alleyways of Rome and exploring amazing Roman food like in the movies? Take this great mouth-watering adventure with our local expert guide and taste all the typical and homemade Roman foods combined with a pleasure walking through impressive historic monuments. You will explore some of the most famous and traditional Italian finger foods and main courses and taste a large variety of specialties, from pizza to pasta, from desserts to the real Italian ice cream. Try real roman pasta, street snacks and real ice cream in ancient surroundings. Our guided 3-hour walking food tour lets you experience Rome like a local, in an authentic neighborhood where people live, eat and have fun after working hours. The tour highlights include: Italian cheeses, prosciutto and salami with wine; Roman’s most popular street food: Rome’s 2 most famous pasta dishes with wine; Typical Italian dessert known worldwide made by the best local bakery; Last but not least top-rated gelato in Rome run by a local family from many years. All that admiring the layers of Rome’s architecture from the Empire’s greatest temple ruins, to Baroque masterpieces and stunning Renaissance fountains. The tour will take place at the Campo Dè Fiori area! Known to locals as the “heart of Rome”, is the city’s original foodie neighborhood and where the most famous open market of the city takes place during the day. The guided tour continues to the Jewish ghetto and Pompey theatre. You will visit famous Ancient Roman ruins and other historic buildings. If you choose the morning slot you’ll visit our local market and meet the vendors who have been there for generations! If you take the evening tour you will taste the most delicious pasta you’ve ever had, just like romans do! You’ll also be sampling everything from classic Italian dishes to some typical Roman snacks all combined with stories and insights into Rome’s history and culture, while exploring the city’s most fascinating offbeat landmarks. This tour is perfect for people that want to have a first overview of the city center of Rome and get to know some of the best addresses for eating with an expert local guide.